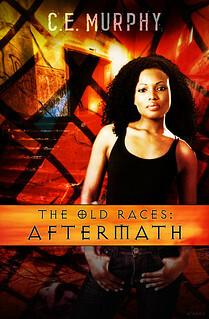 The last Old Races e-book collection, AFTERMATH, has now been published! This collection has one reprint, “Perchance to Dream”, a Janx story also available in the anthology DRAGON’S LURE. It has the ORSSP stories “Awakening” and “Aftermath” (which was the surprise bonus story for ORSSP patrons who subscribed to the ORSSP in the first 5 months of 2011). The other two stories, “Betrayals” and “Choices,” are brand-new. Watch the future unfold in these five new stories of the Old Races! Yay! That's wonderful. And I do love the cover. That may be why I giggle ever time I see the 'Oh My!' I get a kind of portmanteau between George Takei and Dorothy Gale.